Our industry employs over 65,000 bright people who design and manufacture efficient technology. The best clean tech is priced within reach. Really. Less than the audio system in most cars. Our clean tech will get cleaner this year, just as it has every year for more than four decades. Technology has to perform effectively at every stage to consistently succeed. Ours does. Advanced Engine Systems Institute is a trade association of highly focused manufacturers. We help move the nation forward by designing, engineering and producing technologies to optimize and reduce pollution from internal combustion engine systems. Our industry has 62 companies with 323 facilities in 39 states maintaining America’s global leadership. 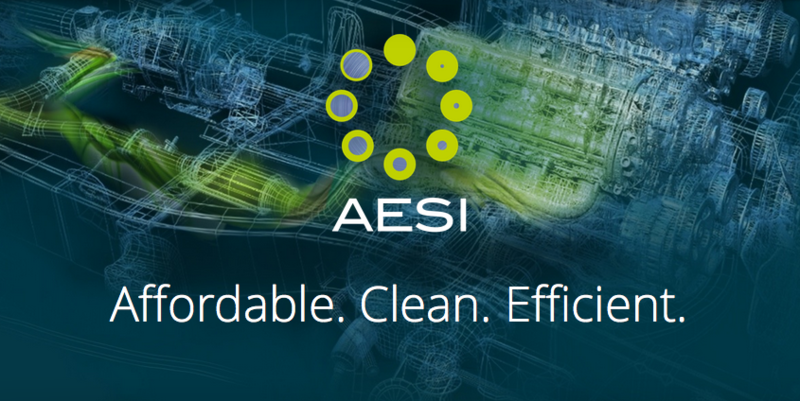 AESI is focused on educating and communicating with key policymakers regarding the enormous economic and health benefits created by our industry to date – as well as the potential to expand on these accomplishments in the future through research and innovation. The industry faces many challenges to the programs and regulations that drive our market. Those challenges threaten to stagnate or erode market opportunities and turn back the clock on years of steady progress in improving air quality and reducing the pollution footprint of each vehicle. We help move the nation forward by designing, engineering and producing technologies, in collaboration with our customers, that optimize and reduce pollution from internal combustion engine systems. We provide our members with information, and communicate with their customers, regarding political and policy trends shaping today’s and future market opportunities for vehicle efficiency and emission control technologies. The Clean Air Act requires the US EPA to review and revise the National Ambient Air Quality Standards (NAAQS) as necessary to protect public health, the national ambient air quality standard for ozone. Ozone is formed through the interaction of nitrogen oxides, and volatile organic compounds in the presence of sunlight in the atmosphere. States are now in the process of implementing the most recent standard (70 parts per billion) set on October 1, 2015. The US EPA’s 2007/2010 rule setting Heavy-Duty (HD) Vehicle and Engine and Fuel Standards required a significant reduction in nitrogen oxides (NOx) emissions from trucks and buses. California has requested that the US EPA further reduce those standards’ levels by an additional 90% to help expedite attainment of the ozone NAAQS. AESI works closely with the Air Resources Board (ARB) and the Ozone Transport Commission (OTC) on modeling ozone impacts from HD NOx emissions reductions. Comments have been submitted on the proposed rule and presented to the ARB on the issue. 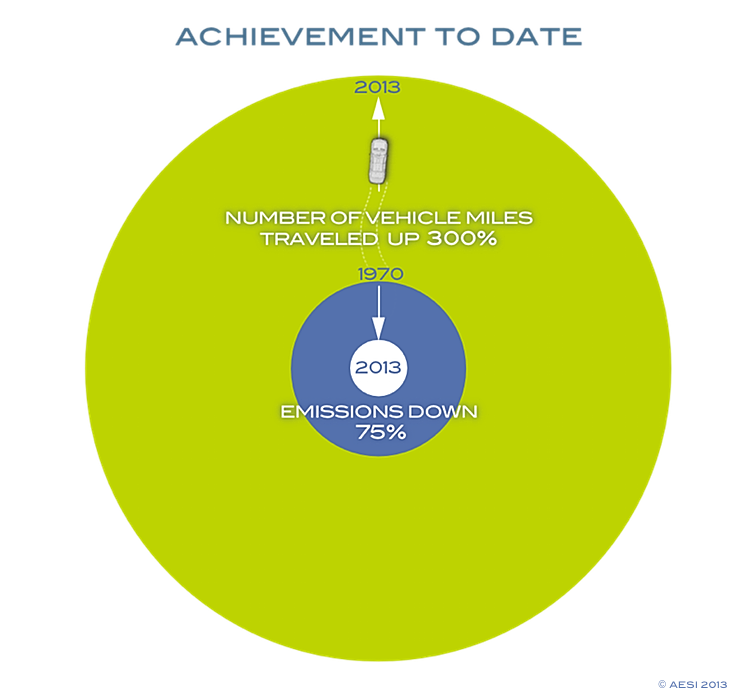 The US ’s 2011 rule on Greenhouse Gas Emissions Standards and Fuel Efficiency Standards for Medium- and Heavy-Duty Engines and Vehicles required these vehicles to reduce carbon dioxide emissions for the first time for model years 2014-2018. EPA has proposed further reductions for these vehicles and engines starting in 2021 through 2027. As part of the 2017-2025 light-duty vehicle greenhouse standards rulemaking, EPA made a regulatory commitment to conduct, in coordination with NHTSA and the California Air Resources Board, a Midterm Evaluation of the longer-term standards for model years 2022-2025. That technology assessment is now underway. In September 2015, the US EPA determined that Volkswagen had manufactured and installed defeat devices in diesel light-duty vehicles with 2.0 liter engines and had violated Clean Air Act emission standards. In late June 2016, in related settlements with the United States and the State of California, and separately with the U.S. Federal Trade Commission (FTC), Volkswagen agreed to spend up to $14.7 billion to settle allegations of cheating emissions tests and deceiving customers. Volkswagen will offer consumers a buyback and lease termination for nearly 500,000 model year 2009-2015 2.0 liter diesel vehicles sold or leased in the U.S., and spend up to $10.03 billion to compensate consumers under the program. In addition, the companies will spend $4.7 billion to mitigate the pollution from these cars and invest in green vehicle technology. AESI will continue closely following developments on this issue and how it will affect the emissions control manufacturing industry. “Umicore compliments the EPA for its forward thinking in establishing the Tier 3 emission control regulations. This regulation, which covers a ten year vehicle model design basis as well as harmonizing with California LEVIII, will solidify our company’s long term investment and product development strategies to meet the market demands for these vehicles. In addition it will stabilize our workforce for the present and create future highly skilled jobs in research, engineering and manufacturing. Ken Zerafa, President, Umicore Autocat USA, Inc.
Titus Iwaszkiewicz, President, Emitec Inc. Thanks for visiting AESI. Want to know more?